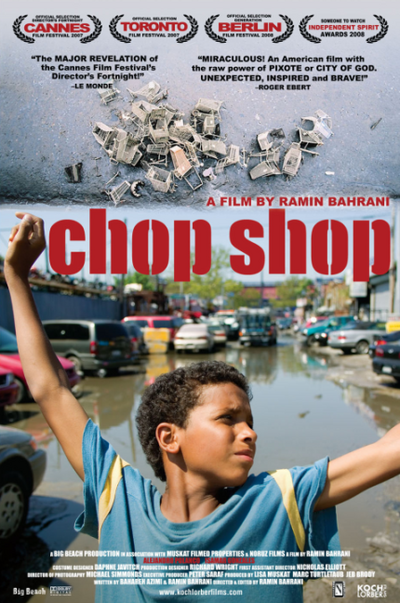 Synopsis: Set in Willet’s Point, an industrial sprawl of auto repair shops and junkyards in outer New York City, CHOP SHOP tells the story of 12-year-old Alejandro (Alejandro Polanco), an orphan living a hardscrabble existence in the “Iron Triangle.” The boy earns a meager living hustling customers… Set in Willet’s Point, an industrial sprawl of auto repair shops and junkyards in outer New York City, CHOP SHOP tells the story of 12-year-old Alejandro (Alejandro Polanco), an orphan living a hardscrabble existence in the “Iron Triangle.” The boy earns a meager living hustling customers into body shops, hawking candy on the subway, and helping to chop up the parts of stolen cars. But he dreams of a better life. 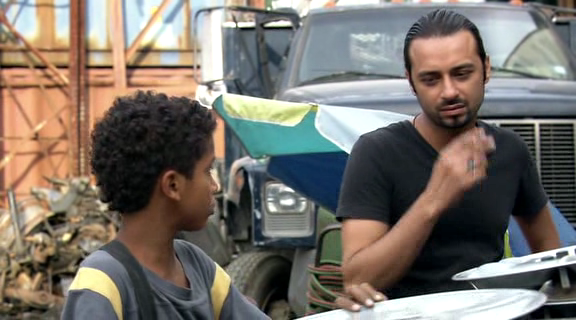 When his older sister Isamar (Isamar Gonzales) comes to live with him, Alejandro devises a plan to escape their desperate situation: they’ll buy a lunch truck that they can run together. Alejandro begins stashing money, and even indulges in criminal activity to achieve his goal. When he learns a devastating secret about his sister, it makes him more determined than ever to change things. But reality proves a difficult opponent in his struggle for the American dream. 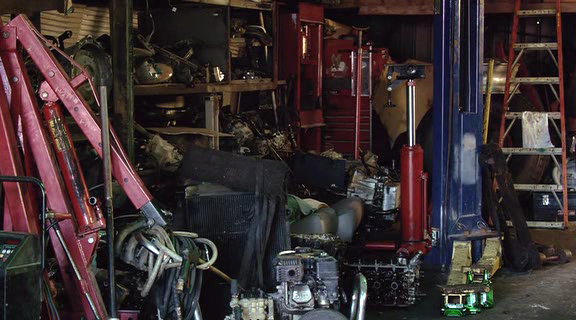 Full of naturalistic performances and exquisite handheld photography, CHOP SHOP shows a side of New York that is rarely seen in films about the Big Apple. Its characters, mostly immigrants, inhabit a landscape of rubbish-strewn alleys, deafening expressways, and rusted steel. Manhattan’s skyscrapers and the stands of Shea Stadium loom forever on the horizon. Though some may find the film’s unsparing depiction of poverty difficult to watch, the film is never hopeless, and the humanity of its characters always shines through. Altogether, it achieves an air of documentary-like authenticity that convinces the viewer that, long after the screen goes black, the lives of its characters will continue.